The UFC, whose corporate office is located in Las Vegas, will donate $1 million to the families affected by Sunday’s senseless mass shooting. 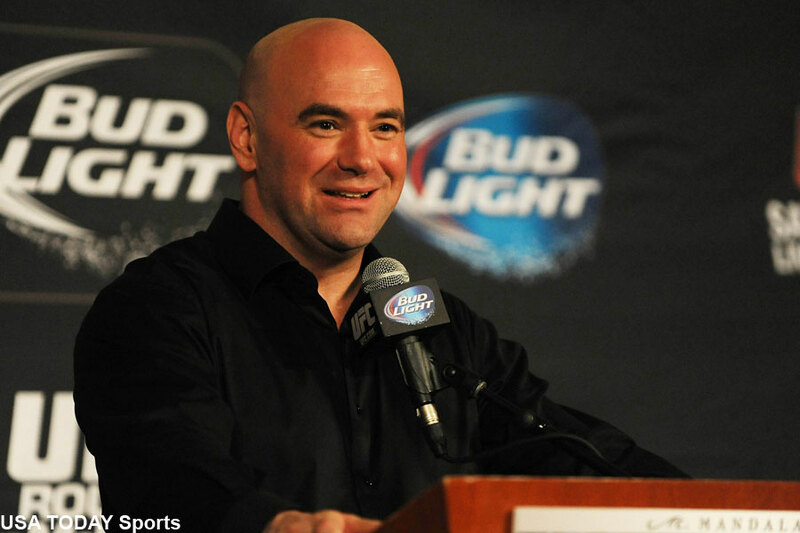 The UFC issued a brief statement Monday morning expressing their sadness for the tragic situation. “We are saddened by this senseless act of violence & offer heartfelt condolences to all those affected,” the UFC expressed. White sent out a tweet on his personal Twitter account expressing sadness that something like this not only happened again, but in the UFC’s backyard. White is also a longtime Las Vegas resident. “UFC 216: Ferguson vs. Lee” takes place this Saturday inside T-Mobile Arena in Las Vegas, just blocks from where Stephen Paddock unloaded hundreds of rounds from the 10 assault riffles he had in his room on the 32nd floor at the Mandalay Bay. The UFC said the event will go on as planned. There is no doubt there will be heightened security at all functions leading up to the event, as well as on fight night. Paddock opened fire on innocent concert goers who were enjoying the Route 91 Festival in an open area across the street from Mandalay Bay. More than 50 victims have been pronounced dead, making this tragic incident the largest mass shooting in US history, and more than 500 people were injured. The 64-year-old Las Vegas resident took his own life just before cops stormed his hotel room.